Seattle University has had a role in growing Puget Sound’s software giants… and the nation’s. The School pioneered the first master’s level software engineering program in 1979. The program was developed in cooperation with Boeing, one of the region’s largest employers. For more than thirty years, SU has been helping industry leaders like Boeing and Microsoft develop their employees’ managerial and technical skill sets. With the addition of an undergraduate computer science program, Seattle University also took on the role of preparing entry level software engineers. The undergraduate computer science program can be tailored to meet students’ individual needs. BS candidates may select a general option or specialize in business or math. Seattle University has been working with industry leaders Boeing and Microsoft for more than 30 years helping them develop their employees’ managerial and technical skill sets. The already successful master’s level software engineering program helped shaped the undergraduate computer science degree. It’s not uncommon for a computer science program to include courses in software engineering. 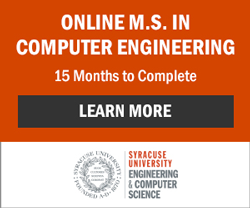 However, because of its unique history, the computer science program at SU places a greater emphasis on software engineering principles than some other programs do. Asked if many undergraduate computer science students go on to pursue their master’s in software engineering, the chair responds, “Not immediately”. Master’s students are seasoned professionals; they must have at least two years of experience in the industry. Many are returning to school at the request of an employer and indeed are receiving financial assistance. There is less emphasis in career placement at this level. However, some students do use their higher degree to leverage career change. Both undergraduate computer science students and graduate software engineering students participate in a capstone project through the Seattle University Project Center. Students work in teams of three or four and spend approximately 1,000 hours over the course of a year developing their project. They are responsible for creating deliverables that meet the real world needs of a local company. Generally this means taking a project from requirements analysis through software development and beyond; the team typically plans for future maintenance as well. Team members use an agile software life cycle model which allows for frequent feedback. Deliverables may vary according to the needs of the individual sponsor, but a general guide can be found on the Seattle University site. Sponsoring institutions have included Boeing, Cisco, ElderHealth, Washington Mutual, Nordstrom, and Microsoft, among others. One of the benefits to the sponsor, besides assistance completing a project that might have been pushed aside, is getting a chance to meet new talent. The benefits to the student include mentoring and an opportunity to impress a prospective employer. Graduate teams have many years of combined experience and thus are expected to work with a good deal of autonomy. They have an additional requirement – they must put together an article suitable for publication. This involves choosing a research component, reviewing literature, and detailing the challenges faced over the course of the project. Computer science graduates have a new option, a master’s program in computer science. Some students choose this route because they want more specialized training in a particular branch of the field. Work experience is not required. Students who earned a first degree in another discipline may also opt for a master’s in computer science. Those coming from other fields usually have quite a few prerequisites to take. It’s common to take a year to catch up, but the requirements depend on previous education and experience. Seattle University, after many months of development, is now offering a Master's in Computer Science. This master’s program is also a viable option for students who want to go on to PhD study. Many graduate students choose to do their master’s and PhD work at the same institution, but some may not be quite ready to leave the Emerald City making this a nice option. There are periodic on-campus information meetings for students considering programs in computer science and software engineering. Check out the Seattle University College of Science and Engineering website to learn more about these programs.